The 3 Days Tsavo east and Amboseli safari is combination of the two national parks in Kenya that is Tsavo east national park and Amboseli national park. Both national parks are source of tourist’s attraction to Kenya because Tsavo east national park is one of the largest game sanctuaries and best park for exploring. Yet Amboseli national park is where the Africa’s highest mountain is found and the mountain is known as Mount Kilimanjaro. The parks have variety of wildlife that include mammals and bird species, some animals include herds of elephants, lion, giraffe, leopards, buffalos, hyena and others. Company driver will pick you from the hotel or airport very early in the morning. You will depart using Mombasa-Nairobi road leading to Tsavo east national park and you will enter the park via Bachuma gate. 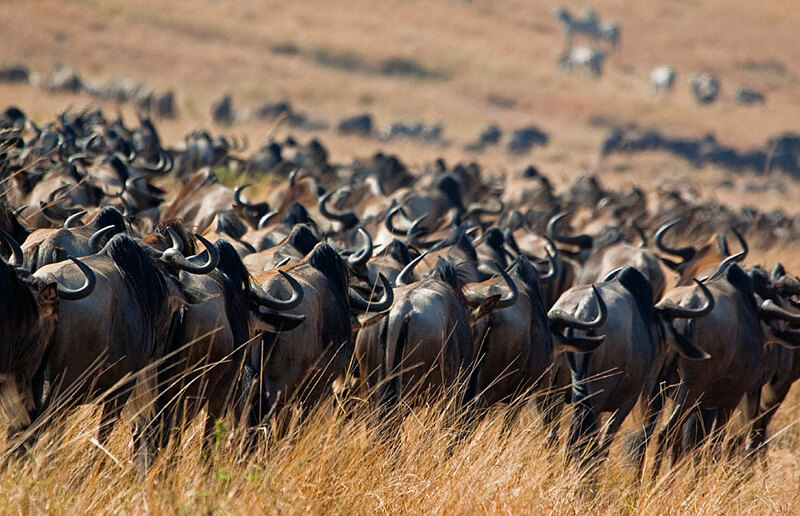 You will embark on the safari heading to the lodge with high opportunities of spotting wildlife. Upon arrive to the lodge will check-in with the lodge office and have lunch. After lunch embark on the afternoon game drive in Tsavo park spotting elephants, man-eaters of Tsavo, buffaloes, cheetahs, lions, giraffes, antelopes, leopard and so many. Later in the evening, head back to the lodge for dinner and overnight. After taking breakfast you will depart for Amboseli national park passing the park for morning game drive to have last spot of wildlife from Tsavo east national park till you reach an exist gate. You will proceed to Amboseli national park using Mombasa- Nairobi highway. Upon reaching Amboseli entrance gate you still have game drive while heading to lodge, check-in at lodge and have lunch. You will relax a little than head for afternoon game driver where you will view the Africa’s highest snow capped Mount Kilimanjaro from the distance. After your game drive, return to the lodge for dinner and overnight. Take African cup of coffee and after enjoy the last session of Amboseli national park before set off to Mombasa town. You will have lunch from any restaurant along the way then proceed to Mombasa where you arrive in the evening. Transport back to the hotel or dropping you to airport will be done by our company driver. End of the 3 days safari. What is not included in the safari?